Renowned Management Consultant, Brand Maker, Educationist, Academician, Author, Speaker & Motivational Trainer. Founder & Convener CIHF started in the year 2005 in order to strengthen the quality standards for three sectors mainly healthcare, education & social wellbeing. Chair of the CIAC Board, serving as President of CIAC since Dec 2009. A global management consultant, brand maker, educationist, author, speaker and a world peace advocate, HE HRH Prof. Dr. Sir GD Singh is heading Confederation of Indian Healthcare Foundation (CIHF) as Founder & President since 2005. CIHF is an independent non-government, not-for-profit organisation that endeavors to leverage corporate, employee & leadership talent for healthcare development, education for community development and social well-being. In addition, he is the Founder & President of Confederation of International Accreditation Commission (CIAC, Global) and World Peace & Diplomacy Organisation (WPDO) since 2009 and 2011 respectively. CIAC is an international, non-governmental, private, self-financed, quality assurance & accrediting body and WPDO is working on global peace and UN sustainable development goals 2030. WPDO is a private, not for profit organization, aiming at resolving conflicts & prevailing peace amongst and within nations. 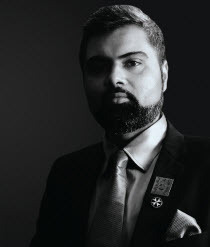 He has recently founded Asian African Chamber of Commerce & Industry (AACCI) through a network of presidents/representatives of various commerce chambers and professionals of high repute from the entire Asian-African region with a view to giving the business community of both this region a voice and a tool to foster development and realize UN Sustainable Development Goals 2030. AACCI is to act as a trade & business promoting chamber supporting SMEs and industries by means of representing them as bilateral chamber for the Asian and African region and help them to build better economic growth and sustainable business. Board Memberof Serbian Royal Academy of Science and Arts, Belgrade, Serbia. (Lt. Col) Dr. B J Singh, Retd. Honorary Member of the CIAC Board, Technical Director & Co-Founder for Quality Assurance at CIHF, Gujarat, INDIA. A leading Physician and Consulting Cardiologist of 45 years’ standing and experience in the field of medicine, cardiology and environmental science. He is also an excellent nutritionist in the field of medicine & cardiology. He has travelled wide in India, Sikkim, Nepal & Canada and studied climate changes across these countries as a doctor. He is a notional writer, author and orator who has been awarded in Absentia the prestigious awards of “Bharat Jyoti” & “Bharat Chikitsak Ratna”. He is listed in the oldest “Marquis Who’s Who” in England as a leading doctor who has rendered outstanding services in the field of medicine & allied science as noted above. He has been UG/ PG teacher for Nurses & Doctors in UNMICRC & Civil Hospital Paramedics, Ahmedabad, Gujarat w e f from 2006 till 2014 as AP in Medicines & Critical Care to Cardiology departments. He has served in Army Medical Corps from 1969 to 1997 and retired as Lt. Colonel. A human resource management consultant by profession and a philanthropist by nature, Dr. Neetu Singh is an avid educationist, versatile entrepreneur, ardent orator and a generous humanitarian. She has contributed immensely as Secretary and Vice-President in founding CIHF, an independent non-government, not-for-profit organisation that endeavors to leverage corporate, employee & leadership talent for healthcare development, education for community development and social well-being. She is Co-Founder and Vice President of Confederation of International Accreditation Commission (CIAC Global), an international, non-governmental, private, self-financed quality assurance & accrediting body and World Peace & Diplomacy Organisation (WPDO) which is working for global peace and UN sustainable development goals 2030. WPDO is a private, not for profit organization, aiming at resolving conflicts & prevailing peace amongst and within nations. She has recently endevoured into founding Asian African Chamber of Commerce & Industry (AACCI) with a view to giving the business community of both Asia & Africa a voice and a tool to foster development and to realize UN Sustainable Development Goals 2030 through a network of presidents/representatives of various commerce chambers and professionals of high repute from the entire Asian-African region. Dr. Neetu Singh Marwah is also the Co-Founder and Group CEO of Unified Brainz Group Holding Inc., a management & business consulting firm, essentially into brand enhancement, creative designs and strategic business consulting. Under her leadership, she is providing strategic and operational leadership to support all business functions within the group company along with opportunities for cross-leverage and critical company investments. In 2014, she assumed additional responsibilities as Chief Financial Officer, As CFO, she plays the role of chief financial spokesperson for the Company and responsible for the overall financial & accounting health, acquisitions, investor relations, securing of new funding and regulatory compliance.